Washington’s biggest resort wields a hefty reputation for steep chutes, tough trees, and backcountry basins. 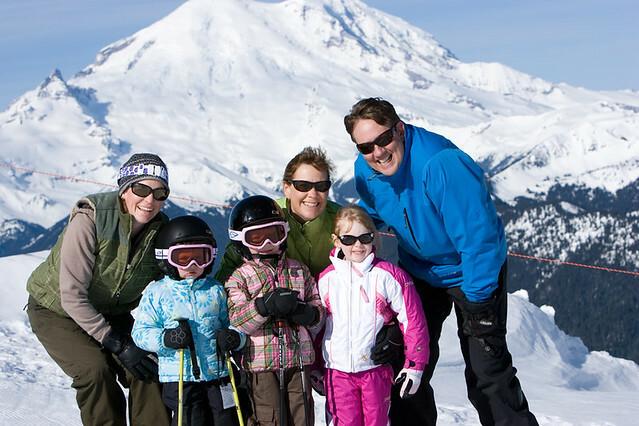 But [R124R, Crystal Mountain Resort] has terrain that caters to families with youngsters, too. One of Crystal’s mid-mountain lifts provides a perfect hangout for families who want to ski together. The Forest Queen six-pack lift services several intermediate and novice runs with a variety of terrain that includes wide-open gentle groomers, rollers, drop overs, and trails. Runs off Forest Queen offer novice and intermediate descents. Photo by Becky Lomax. 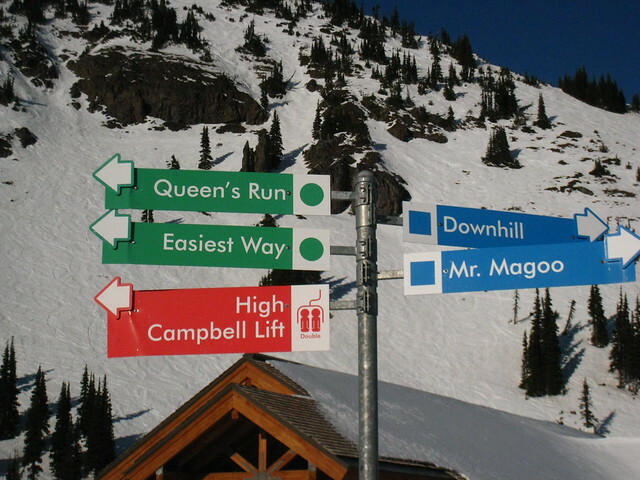 On one side of Forest Queen, Queen's Run provides the easiest descents. The slopes steepen on the other side on Mr. Magoo and Downhill runs. Glades adjacent to the runs allow some family members to dive into the trees while others stick to the groomers. The Sasquatch Jib Park on Mr. Magoo run is wide enough for some family members to hit rails while others watch the fun. 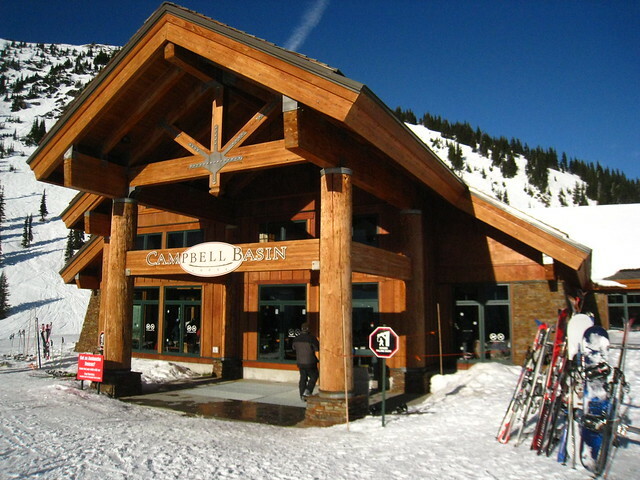 Campbell Basin Lodge is a good place for families to eat lunch due to the convenience at the top of Forest Queen and a food court. Photo by Becky Lomax. When it's time for lunch, you don't have to ski to the base area. You can head instead back up the Forest Queen chair. Campbell Basin Lodge, located at the top of the Forest Queen lift, provides a family-friendly place for lunch without going back down to the base area. The food court grills up traditional ski lodge foods such as burgers, fries, and pizza, but also puts out soups, salads, or stir frys for family members who may want to dine on lighter fare. Skip the steep summit descents with the family and ride the gondola to see the view and take photos. Photo courtesy of Crystal Mountain Resort. Lift tickets for kids 10 years old and younger cost $5. That includes use of the gondola. Even if the kids aren’t skilled enough to ski down from the summit, the family can hop the gondola to see the view of Mt. Rainier at the top and enjoy the ride. For more information on lift ticket rates, check here.